THE HAGUE, Netherlands -- Prosecutors reopened their case Monday against former Bosnian Serb military chief Gen. Ratko Mladic at the Yugoslav war crimes tribunal to present new evidence gleaned from a mass grave discovered in Bosnia in 2013. More than 400 bodies have been recovered from the grave in Tomasica. Prosecutors say evidence gathered there demonstrates the involvement of Bosnian Serb forces under Mladic's command in the murder and burial of non-Serbs in the Prijedor region early in the country's 1992-95 war. 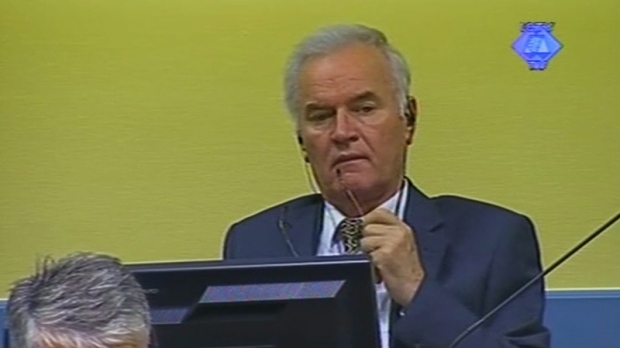 Mladic, whose trial started in 2012, was in court for Monday's hearing but did not speak. He is charged with genocide, crimes against humanity and war crimes for his alleged role orchestrating atrocities by Bosnian Serb forces. 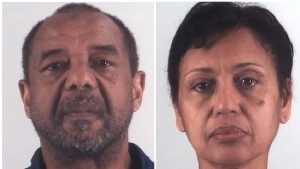 If convicted, the 73-year-old faces a maximum sentence of life imprisonment. Mladic insists he is innocent and claims his wartime actions were to protect Serbs in Bosnia. It was not immediately clear what evidence prosecutors were presenting to the three-judge panel. The first witness called by prosecutors testified mostly in closed session. The witness's identity also was withheld from the public. It is unusual for the tribunal to re-open a case. Prosecutors finished presenting their evidence in February 2014 and Mladic began laying out his defence three months later. Judges allowed prosecutors to re-open their case because evidence from the Tomasica grave had not been fully analyzed at the time they closed their case. The hundreds of people buried in Tomasica were Bosnian Muslims and Croats killed in 1992 in the Prijedor region of northwest Bosnia as Serb forces attempted to carve out an ethnically pure state that was to include parts of Bosnia and Croatia. Some 10,000 Bosnians who went missing during the war still have not been found. Mladic's trial is one of the last still underway at the UN court. Judges are considering their verdicts against his former political master, Radovan Karadzic, who also faces genocide and other charges for allegedly masterminding Serb crimes.